My husband has ADHD (Attention Deficit Hyperactivity Disorder) and so does our eight year old daughter. 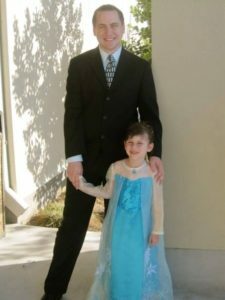 Many times, we compare what having ADHD was like for my husband as a child to my daughter growing up with ADHD now. There are quite a number of differences. Many aspects have changed and luckily, they’ve changed for the better. Going from just one generation to the next, the perception and understanding of ADHD has progressed a lot. Although there is still some stigma about ADHD and plenty more work needs to be done to share more awareness, education, and advocacy, the children currently growing up with ADHD, including my daughter, are very lucky when compared to their parents’ generation. Recently, the media and our society in general is doing a pretty amazing job of giving ADHD a good name (and making it look pretty damn cool). Whether we’re listening to music, watching a movie or the news, reading a book, or shopping, ADHD is now everywhere, seriously. My daughter can name at least ten celebrities with ADHD off the top of her head. When my husband was her age, he couldn’t name one. My daughter has access to books, movies, and music (including the latest song “They Don’t Know”) about people with ADHD. My husband never had any of that growing up. It’s a whole new world for this generation and do you know what? It’s about frigin’ time! Musicians with ADHD are speaking out about having ADHD and attributing their amazing talent to it. Popular singers, such as Justin Timberlake, Adam Levine, and will.i.am., frequently talk about having ADHD in interviews. Whenever my daughter hears “Can’t Stop The Feeling” or “Moves Like Jagger” come on the radio, my daughter proudly announces that the singers have ADHD, just like her. These musicians have been through everything our children are currently going through and they often offer advice and words of encouragement. 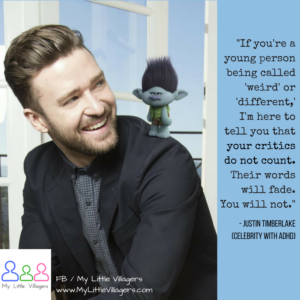 Justin Timberlake once said to his young fans, “If you’re a young person being called ‘weird’ or ‘different,’ I’m here to tell you that your critics do not count. Their words will fade. You will not.” He most definitely is correct. My generation grew up listening to Timberlake’s voice in NSYNC and now the next generation is growing up still listening to Timberlake’s voice. People with ADHD are highly creative and talented and when they hyperfocus, which is pretty much like a superpower, they can accomplish so many wonderful things! 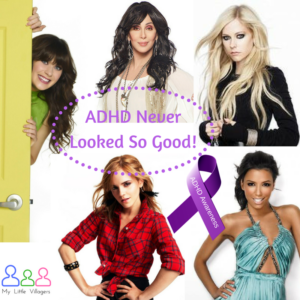 Many actors and actresses are also very open with their fans about having ADHD. Channing Tatum, Ryan Gosling, Will Smith, Emma Watson, Zooey Deschanel, and Eva Longoria all have ADHD. As you can see, our children are in great company. Just like the musicians with ADHD, these movie stars have already had a childhood with ADHD and they know and understand our children. “It kills me that there are standardized tests geared towards just one kind of child,” Channing Tatum once said. These celebrities know that people with ADHD have brains that are wired differently and what may work well for a neurotypical child will most likely not work for a child with ADHD. Knowing that the celebrities your child looks up to understand them and have their back truly means a lot. There are also many athletes that have ADHD, many of whom definitely make the list for best athletes of all time. ADHDers Michael Jordan and Magic Johnson are without a doubt some of the best basketball players we have ever seen and it’s no wonder why. Athletes with ADHD have a heightened awareness of their environment and actually perform very well under pressure. Other amazingly talented athletes, such as Micahel Phelps, Tony Bradshaw, Serena Williams, and Cammi Granato also all have ADHD. By the age of 31, the amazing swimmer, Michael Phelps, had won 23 gold medals! Growing up, he struggled in school because of his ADHD. He once admitted, “I had a teacher tell me that I would never amount to anything and I would never be successful.” I bet that teacher feels pretty stupid right now! Guess what The Walt Disney Company, Cisco, IKEA, Kinko’s, JetBlue Airways, and Charles Schwab all have in common. Thats right. 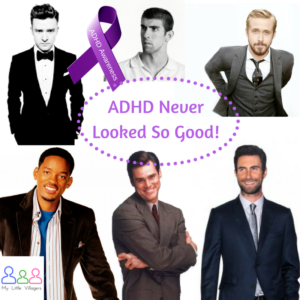 They were all created by amazing people with ADHD and the best part is they attribute having ADHD to their success. In order to be an innovator or an entrepreneur, you need to be impulsive and not afraid to take risks, which are common characteristics of ADHD. Combine that with the ability to hyperfocus and you’ve got yourself the making of a success! As Walt Disney once said, “If you can dream it, you can do it!” Many people with ADHD are leaders and trend setters for just these reasons and I am so proud to be raising my daughter in a world of successful businesses founded by people with amazing brains like hers. Although there is no way to confirm, it has been noted that Albert Einstein, Leonardo DaVinci, and Pablo Picasso all exhibited characteristics of ADHD. There are many characters popping up in popular children’s books and movies that have ADHD. The Percy Jackson and The Olympians series are absolutely amazing! In the books (and movies), characters that have ADHD are seen as Greek gods (Demigods to be exact). In Percy Jackson and The Lightening Theif, the book explains, “And the ADHD—you’re impulsive, can’t sit still in the classroom. That’s your battlefield reflexes. In a real fight, they’d keep you alive. As for the attention problems, that’s because you see too much, Percy, not too little. Your senses are better than a regular mortal’s.” Pretty awesome, right? The books and movies have every kid wishing they had ADHD! Another popular children’s book series that has lovable main characters with ADHD is Captain Underpants, which has also been turned into a movie. 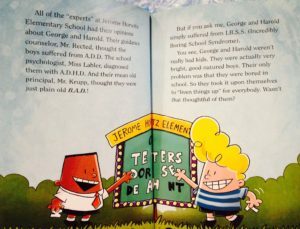 I cannot even begin to describe how much my daughter loves Captain Underpants and the adventures George and Harold, two young boys with ADHD, have! The stories are hilarious and the author, Dav Pilkey (who has ADHD himself), definitely knows how to get kids with ADHD interested in reading. My family recently had the honor of meeting Pilkey at a book signing and during his presentation, he was very proud of telling everyone that he has ADHD, which I know meant so much to my daughter. I honestly do not know any kid who doesn’t own a fidget spinner. Many people don’t know this, but fidget spinners were actually created back in the ’90’s for children with ADHD to use in the classroom. When people with ADHD fidget, they are able to focus better. In 2017, some YouTubers began showing videos of tricks and stunts with fidget spinners and it took the nation by storm, making every kid beg his or her mother to get them one, or two, or three. Soon, neurotypcial children were bringing fidget spinners to school to play with. Unfortunately. 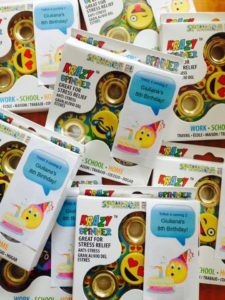 many schools had to ban fidget spinners, because they were becoming too much of a distraction for the neurotypical kids that treated them as toys and not as tools like the children with ADHD. At my daughter’s school though, fidget spinners and other fidget tools are allowed for students with ADHD. (My daughter has about four fidget tools in her desk.) 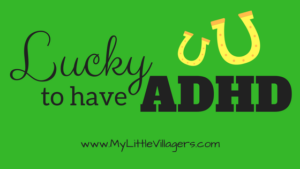 My daughter has lost count of how many times her classmates said they wished they had ADHD like her! My husband told me that when he was in the fourth grade, his teacher would send him outside the classroom before she even began the first lesson. Like many children with ADHD, he was a talkative (and disruptive) child and apparently, his teacher thought it would be best for her class if he sat in the hallway all day. Instead of providing him with classroom accommodations to help him focus better, the teacher flat out kicked him out of class. We have come so far with classroom accommodations! My daughter goes to a private school and IEPs/504s are not required, but the school still provides really great classroom accommodations and the teacher and I are in constant communication. She is able to use fidget tools at her desk, stand up and walk around if she wants, and take art breaks if she becomes frustrated with an assignment. Just ten years ago, my daughter would not have been able to attend her school, because they would have told us that they are not able to accommodate students with learning disabilities. How do I know this? It happened to a member of the My Little Villagers’ Facebook Community that told me all about it. Schools are not the only ones creating accommodations for children with ADHD. Amusement parks, such as Disneyland, are as well, because they understand how difficult it can be for someone with ADHD to wait in long lines. 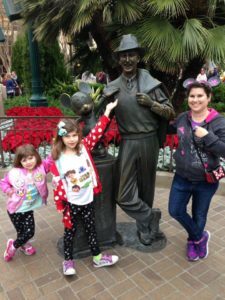 Whenever we go to the Disneyland Resort, we always get our daughter a Disability Access Service Card (DASC), which allows us to get on rides faster with her. Every time we use my daughter’s DASC, we always thank her. Sometimes, the other guests that see us bypassing the long lines will stop us to ask how we are able to do that and I tell them the truth. My daughter has ADHD. Whenever I do this, I can see the proud smile on my daughter’s face, because it makes her feel like the VIP that she truly is. As I stated before, there is still a lot of work that needs to be done to break the stigma of ADHD. Children and adults with ADHD struggle every day, but there are many wonderful people, resources, and tools to help them manage their ADHD and let them learn to harness all of its positive traits, which there are many of. It’s truly amazing to know how far the world has come since my husband was a little boy and I am happy to be raising my daughter in a world that is learning to accept her, embrace her, and love her for who she is. The world isn’t perfect and it never will be, but at least we are moving in the right direction and we are in great company!